The popular blog, Kaplan’s Korner on Jews and Sports, returns to the digital landscape after an absence of two months. 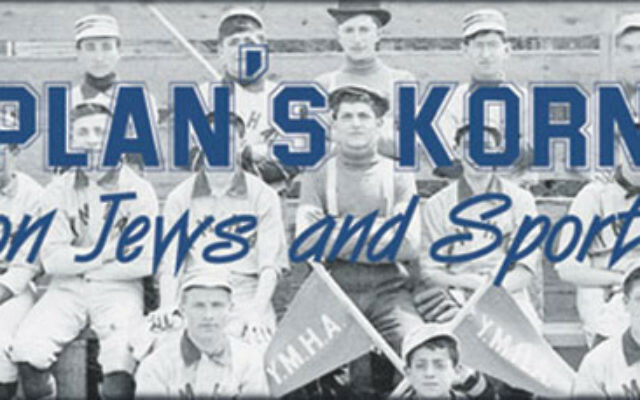 Kaplanskorner.com, hosted by former NJJN sports and features editor Ron Kaplan, offers interviews and profiles of Jewish sports figures throughout the world as well as game recaps, trivia, book and movie reviews, and links to other sources on the topic. The New Jersey Press Association named Kaplan’s Korner the blog of the year for 2014. Rabbi Jason Miller of Detroit, a nationally known educator, tech entrepreneur, and blogger in his own right, was a major force in helping on the reboot. Kaplan is the author of The Jewish Olympics: The History of the Maccabiah Games and the forthcoming Hank Greenberg in 1938: Hatred and Home Runs in the Shadow of War.